These Products Are Teachers’ Choice Award Winners—And You Could Win Them All (Including a Kindergarten Readiness Kit)! 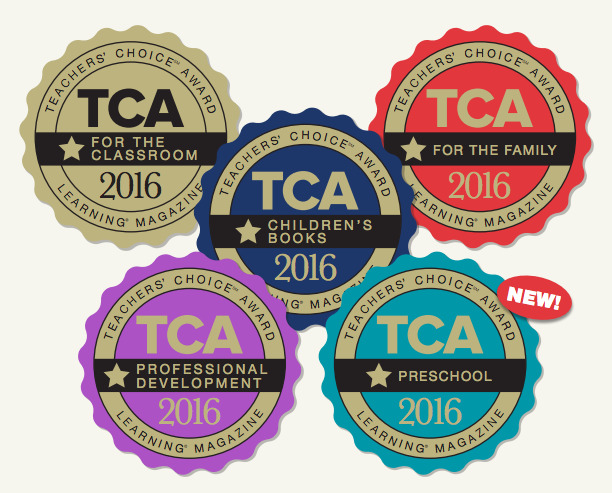 Preschool teachers: I know how your little ones like to sing, move, and paint their way through learning, so you won’t want to miss your opportunity to win these Teachers’ Choice Award–winning products! They’re among the best of the best, tested and selected by real teachers in real classrooms. It’s easy to enter. Just ask Stephanie, who won the science-themed products from the January 21 post, or Gloria, winner of the literature-themed products in the January 11 post. Here’s what you need to do: Post a comment to this blog no later than 11:59 pm EDT on March 13, 2016, to tell me which of the award-winning products below would be perfect in your classroom. From the comments, I’ll randomly select one teacher to win all the items in today’s post. Congratulations to Traci, who is the winner of these award-winning products! 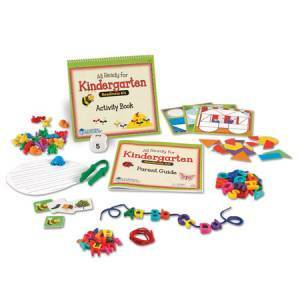 All Ready for Kindergarten Readiness Kit from Learning Resources: Keep kids on track for kindergarten with this comprehensive collection! There are more than 60 activities, hands-on tools, games, and more—all conveniently bundled in a sturdy case—to help get children ready. 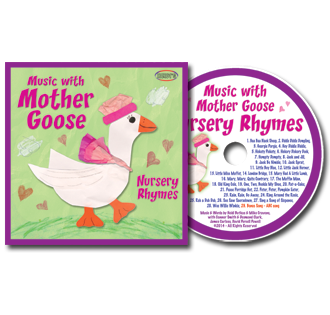 Music with Mother Goose: Nursery Rhymes CD from HeidiSongs: Make learning language an active experience! These nursery rhymes have been set to music and include movements to do with your class. 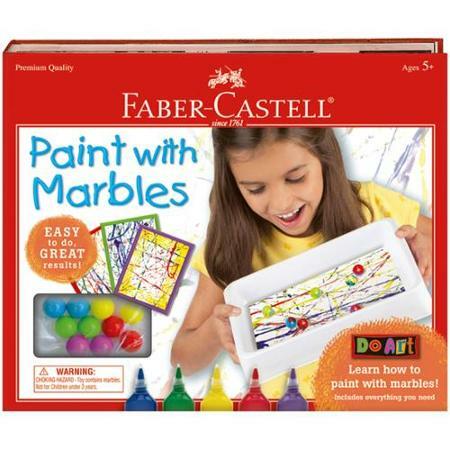 Faber-Castell Do Art Paint with Marbles: Twisting, turning, spinning marbles race across the paper to create abstract works of art. A no-mess reusable painting tray, a stencil to create shapes, and step-by-step illustrated project instructions are included. Don’t forget—you need to post a comment for your chance to win. Would love to win. I am always n the look out for new music so the Mother Goose cd is perfect., I love Heidisongs. Would love the All ready for kindergarten for my 4 year kiddos. Oh my, the Mother Goose CD would be such a fun addition to the classrooms! My children love to paint with marbles!! Its a wonderful activity to develop hand-eye coordination and I use nursery rhymes to help children develop their language skills I would love to have them on CD so that the children can listen to them throughout the day. All of these items would be a great addition to our library for both teacher resources as well as student use! Thank you for the opportunity to win.! I just love All Ready for Kindergarten Readiness Kit. I would love to win the All Ready for Kindergarten Readiness kit. All of the products would be perfect for a new teacher! The paint by marbles kit looks really fun! The All Ready for Kindergarten Readiness kit as I have three children entering Kindergarten in the fall. But all of the products would help to prepare for Kindergarten. I would absolutely love to have the Paint With Marbles kit. One of my curriculum themes is art, and that kit would fit in perfectly! To have this All Ready for Kindergarten Readiness Kit from Learning Resources right hand would be so handy. I am in heaven! So cool! I love the All Ready for Kindergarten Readiness kit. I love the marble painting! This would be a nice supplement to our lesson the Beautiful Oops! book. I love doing music with movement with my class! The Mother a Goose music would be really nice to try! All Ready for Kindergarten Readiness Kit would be an incredible resource for us. I am just learning about your products. I love the Ready for Kindergarten Readiness Kit. All if your stuff would be great to have and I will be looking more into getting stuff. This would be awesome to have for getting my PreK ready for next year!! Looks like some great things for a pre-k classroom! I hope I am a lucky winner. I would love the Mother Goose CD to go with my the nursery rhyme unit in my 3-4 year old curriculum. It would be perfect. I love the shapes. It is a great start for any Kindergartner. The All Ready Kindergarden readiness kit looks pretty awesome! I have a 4 year old that loves being challanged. This would be great for her! The Kindergarten Readiness Kit would be an awesome tool for my classroom!!! These would be awesome to help prepare my grandson for kindergarten. All Ready for Kindergarten would be a great addition to my students in Tier 3 RT I…. I would use the kindergarten readiness kit the most. Although the painting with marbles would be the kids’ favorite! The Kindergarten readiness kit would be perfect this spring in our PreK class to introduce something new! This is my first year teaching and I am just on fire for all of the wonderful teaching resourses out there. This would be a huge asset to our class. All three gifts would be welcomed in my classroom. My work with a kindergarten after school program needs materials to provide extra support for children entering kindergarten.